When you start a new WordPress blog, one of the hardest choices you have to make is which theme to use. WordPress is so popular that there are tens of thousands of themes to pick from. And things get even harder when you have to pick between free and premium themes. Thankfully, there are some high-quality theme providers who you can go to when you start your search. ThemeIsle is definitely one of those providers. 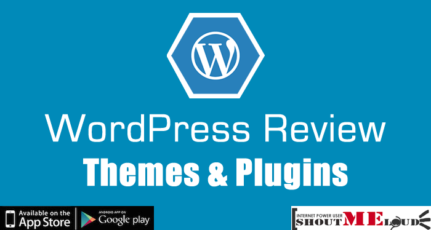 They have some of the most popular free themes in the WordPress theme database. 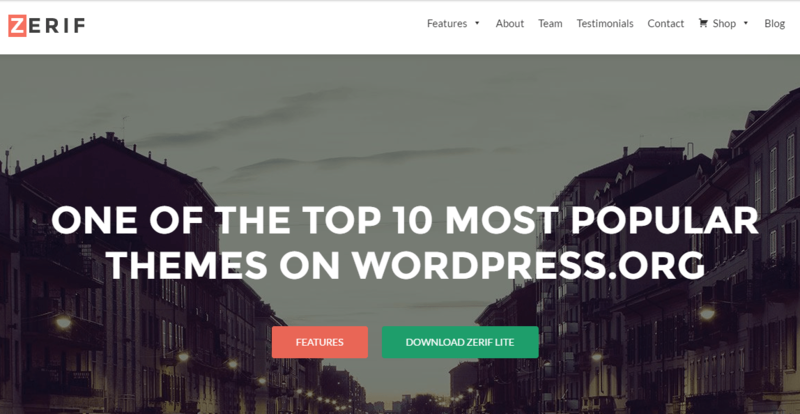 Their Zerif Lite theme is the fifth most popular theme and their ShopIsle theme ranks at tenth. To have two themes in the ‘Top 10’ of the WordPress.org popularity list is pretty incredible. So why are ThemeIsle’s themes so popular? If you showed me this theme, I would think it was for sure a premium theme. A beautiful theme that has premium looks with a free price tag. Their themes all look beautiful and professional, even if they’re totally free. We published a post on ShoutMeLoud that talked about the importance of a well-coded theme. Well, even with ThemeIsle’s free themes, you’re still getting a theme that’s coded properly. The same experts who code ThemeIsle’s premium themes are working on the free themes. You don’t need to worry about bad code. This proper backend coding ensures that your theme will load properly in all browsers and be easily indexed by search engines. Most free themes don’t give you detailed configuration options. That’s not the case with ThemeIsle. Even for their free themes, you get a nice, user-friendly admin panel to configure everything about your theme. Look how detailed the customization options are. You can go through everything and see your changes in real time thanks to the WordPress Customizer. 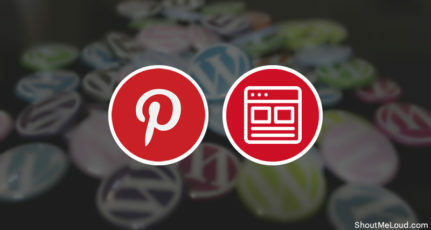 For example, if you want to add social icons to your site, all you have to do is navigate to that section and enter the links to your social profiles. These menu options are pretty standard for premium themes, but not very common for free themes. That’s what makes ThemeIsle’s free themes special. These detailed customization options also eliminate the need for a lot of plugins. Instead of installing a plugin to add a specific feature, you may be able to do it from the theme’s customization options. Instead of installing a plugin to add a specific feature, you may be able to do it from the theme’s customization options. For example, the ‘Pro’ version of Zerif lets you create beautiful pricing tables without any external pricing plugins. This helps prevent your site from getting cluttered with unnecessary plugins. That’s why you need a theme publisher who keeps their themes up to date. You don’t want any vulnerabilities that give hackers access to your site. ThemeIsle always keeps their themes updated – even the free ones. That means the code will always be compatible and optimized for the latest versions of WordPress. 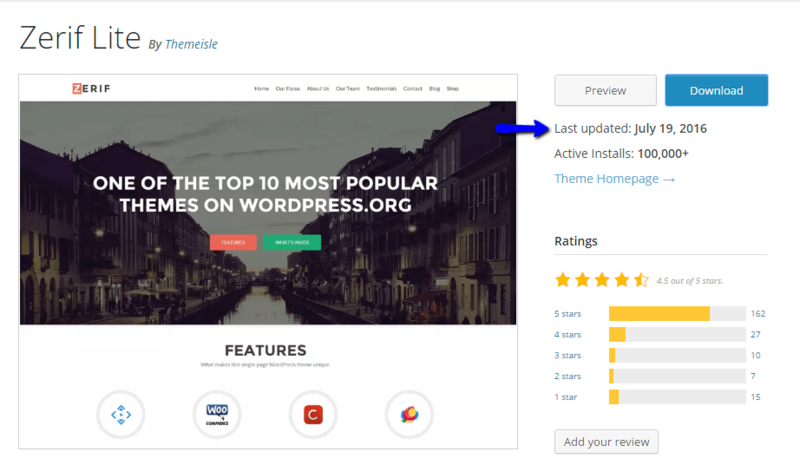 ThemeIsle also adds improvements, so your theme may even get better over time. ThemeIsle has a wide variety of themes. 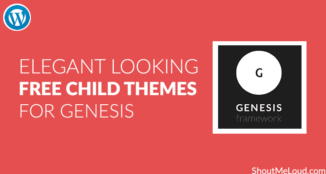 Currently, they offer over 30 themes for free. 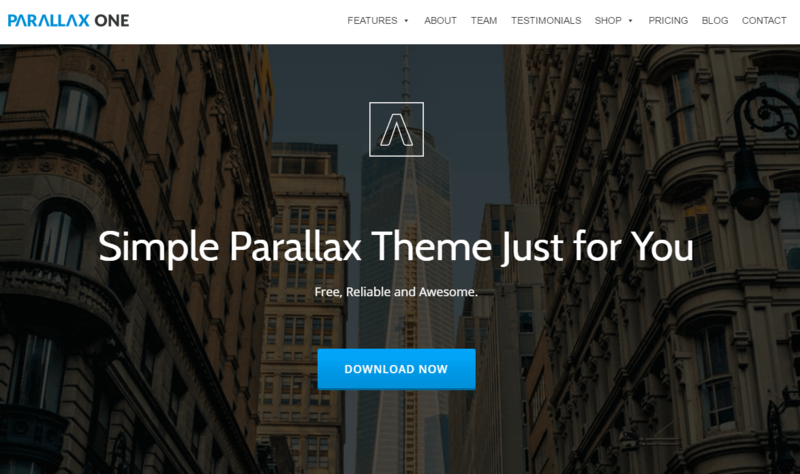 Parallax One is a beautiful theme if you want to add a parallax effect to your site. It’s great for showcasing your business, but you could also use it as a multi-purpose theme. 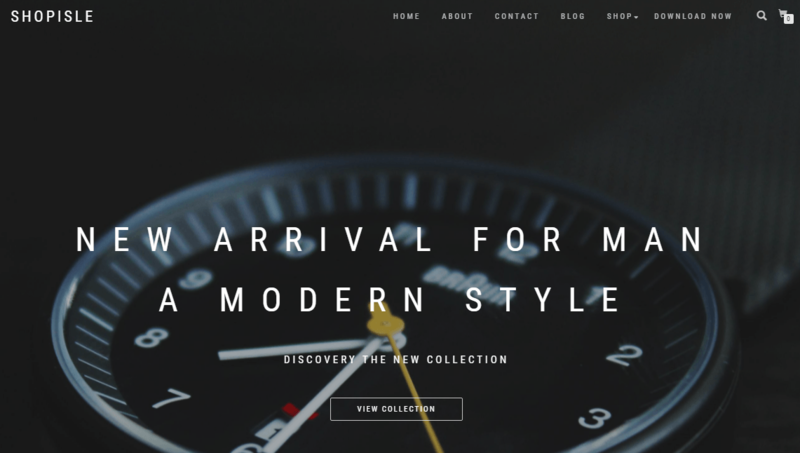 Amadeus is a beautiful theme for bloggers. If you want to start a personal blog, I think this theme is a good minimalist option. 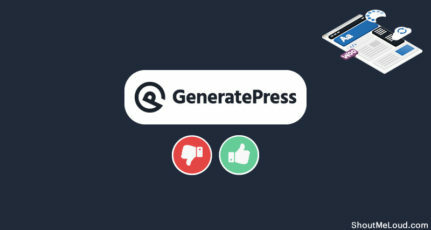 If you want to start a review blog, Bookrev is a really good theme to do that. It has ratings built into the theme, so you can get started without any trouble. 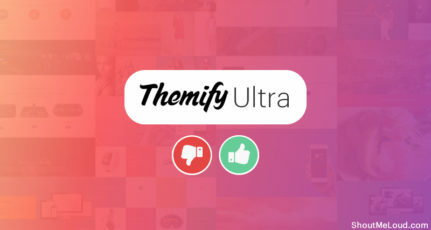 As I mentioned, they have over 30 free themes covering a variety of different categories, so make sure you look at the full list if you don’t like the ones I’ve featured. So far, we’ve only looked at ThemeIsle’s free themes. But they also have some really high-quality premium themes. One of their most popular is the ‘Pro’ version of Zerif Lite, which unlocks extra features like pricing tables. They also have ‘Pro’ versions for a lot of their other themes, including ShopIsle and Amadeus. I think beginner bloggers can definitely use ThemeIsle’s free themes. You don’t need to pay for the premium options. For $99, you get access to all of the premium themes, as well as 12 months of support and updates. If you’re a developer, this is a really good option as you’re only paying about $5 per theme. If you’re just a single blogger, though, you may not need all of these themes. 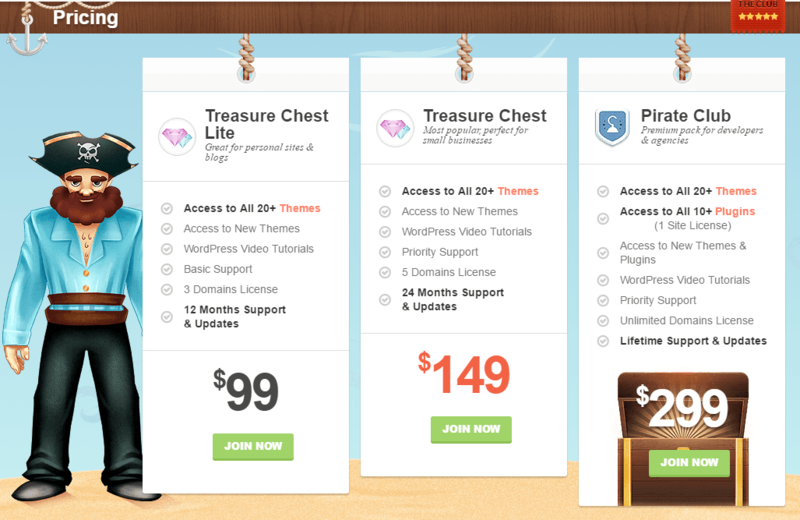 If you’re willing to spend $299, you can get access to all of ThemeIsle’s plugins, too. If you’re looking for a theme for a new or existing WordPress blog, I think you should definitely look at ThemeIsle. They have over 30 free themes, so you should be able to find one that fits your needs. Their themes are all well-designed and coded, include detailed admin panels to help you set everything up, and are regularly updated. 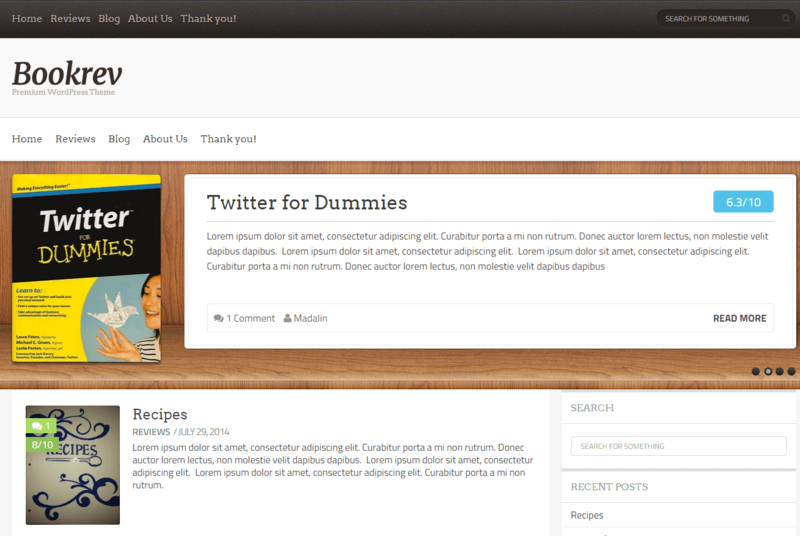 And again, if you want more functionality, you can check out their premium themes and plugins. Like I said, though, for most bloggers their free themes probably have more than enough power. Have you ever used ThemeIsle before? Let me know your reviews and experiences in the comments below. Great topic! 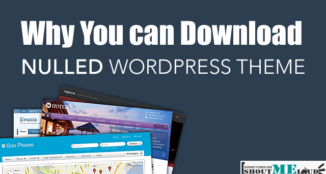 I did the same this week but highlighting ThemeForest which I know very well and trust. Never heard about this one but looks very cool and interesting, having more than a single option is great and I love their style. 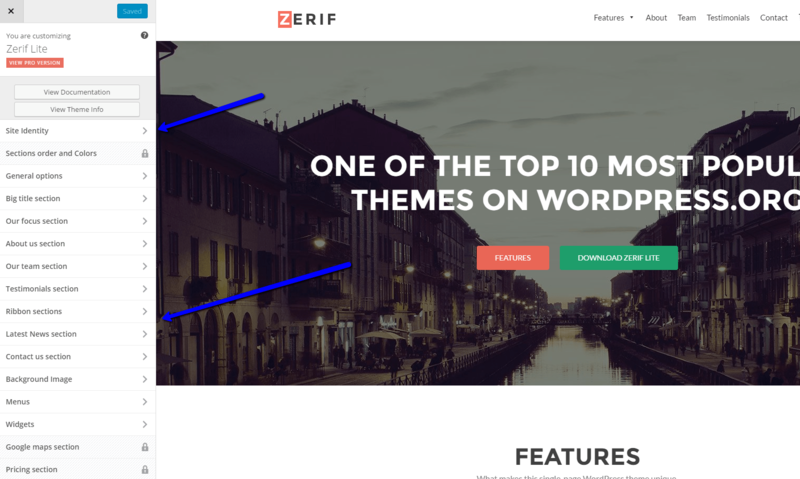 Hi Harsh, thanks for sharing this wonderful themes, i am going to try Zerif Lite today for one of my blog, the steps you have explain for customization are really cool, and I feel that i can make the changes to the theme easily and make it look tailor made. And, I hear ya Nicolas Puegher re: trusting ThemeForest. I am more WordPress developer/SEO than a blogger. And I can vouch that ThemeIsle is well coded, and will be looked upon favourably for SEO by Google. Nice article, I used Zerif Lite for my landing page, with some customization it suits me well. There are definitely so many great themes with beautiful design. love these themes you shared. I am a big fan of themeforest themes but never tried themeisle. I will definitely try them out. I will first try out their free themes before buying a paid one. I used theme junkie but never used this before… thanks I’ll try this.. I have used Avada but I’ll try this in the future. 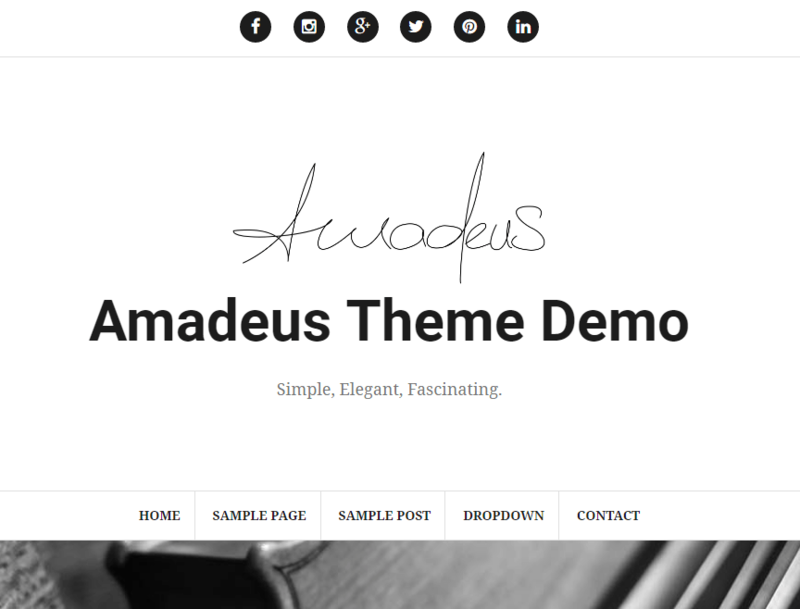 Amadeus from ThemeIsle is an unbeatable theme specially for new bloggers. I had used it for a long time in the past. Its elegant looking, white, spacious & also perfect from the SEO point of view. After creating the child theme, the codes can be altered very easily to have the desired features on in your website. I strong recommend it for newbie blogging folks. Hi Harsh, thanks for sharing wonderful themes.